Professional wrestling star Roman Reigns said an emotional goodbye to the ring on Monday night, revealing that his leukemia has returned after initially being treated 11 years ago. 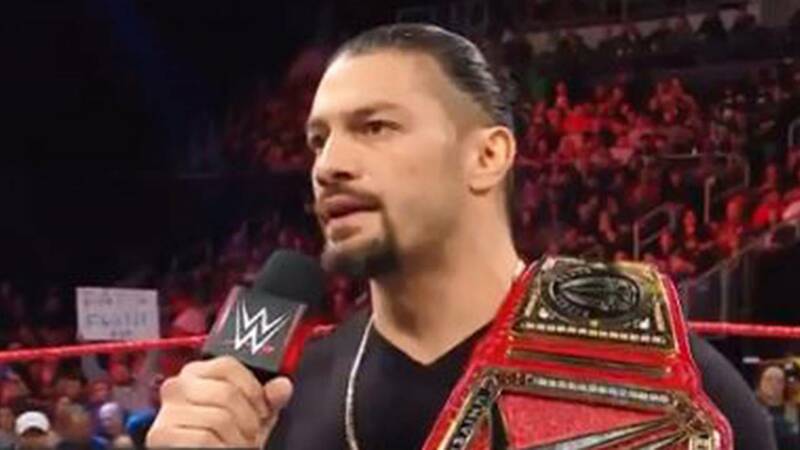 Reigns, 33, whose real name is Leati Joseph Anoaʻi, announced to fans in Providence, Rhode Island, during an episode of "WWE Raw" that he was relinquishing his championship belt and taking a break as he receives treatment. "The reality is my name is Joe and I've been living with leukemia for 11 years and unfortunately it's back," he said while holding back tears. "Because the leukemia is back, I can't fulfill my role. I can't be that fighting champion and I'm going to have to relinquish the universal championship. "I'm not going to lie, I'll take every prayer you can send my way, but I'm not looking for sympathy, I'm not looking for you to feel bad for me, because I have faith." The former football star at Georgia Tech has been a professional wrestler for eight years and has emerged as one of WWE's most popular stars. He told the crowd on Monday that he had first been diagnosed with leukemia at 22 during a trying period in his life. "Very quickly, I was able to put it in remission, but I'm not gonna lie: that was the hardest time of my life,'' he said. "I didn't have a job, I didn't have any money, I didn't have a home and I had a baby on the way, and football was done with me. "But you want to know who gave me a chance? The team that gave me a chance was the WWE." Anoaʻi considers his absence from the ring a temporary setback. "This is by no means a retirement speech," he said. "I will beat this, and I will be back, so you will see me very, very soon." Many of the WWE's biggest stars expressed their support for him using the hashtag #ThankYouRoman.